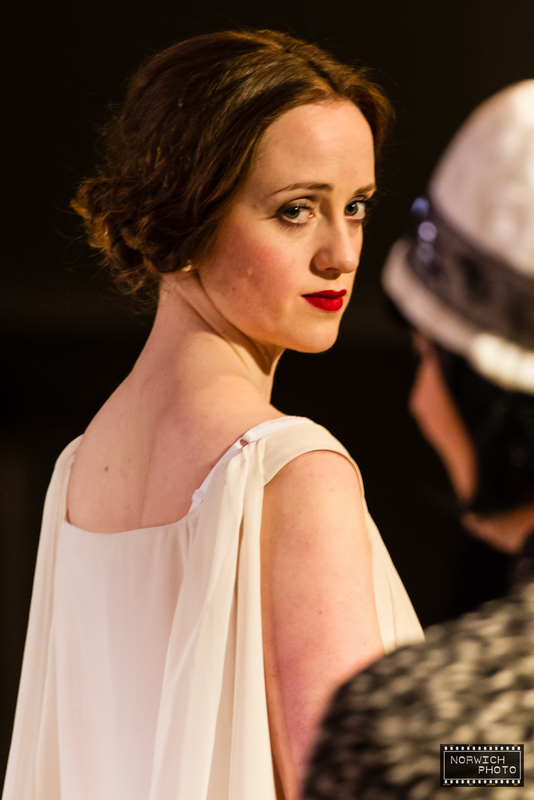 The Constant Wife By W. Somerset Maugham, directed by Zanna Foley-Davies, performed by Great Hall Theatre Company at The Assembly Rooms, Norwich. Photographed on final dress rehearsal night – 7th March 2016. The Constant Wife, a comedy of manners, is a play written by W. Somerset Maugham in 1926 and later published for general sale in April 1927. The leading character, Constance Middleton, is the calm, intelligent, and self-possessed wife of a successful London doctor. Knowing full well of her husband’s infidelity with her best friend Marie-Louise, Constance purposefully maintains the fiction held by her other friends, mother, and sister that she has no idea of the affair. However, when confronted by Marie-Louise’s jealous husband, Constance reacts in a way not expected by her husband, mother, or sister. She first deftly conceals the affair from the husband, and then tells her family that she has known all along. She further shocks them by demonstrating a total lack of sentiment on the subject of matrimony. The modern wife, she explains, is nothing but a parasite, “a prostitute who doesn’t deliver the goods.” She resolves to establish her own economic independence (“which she considers the only real independence”), going into business as an interior decorator with her friend Barbara. After a year of successful employment, she pays her husband for her room and board, and then announces she is going off for an Italian vacation with a longtime admirer. Her husband is, in turn, shocked and outraged at this turn of events, but finally capitulates to her outrageous charm as the curtain falls.